Down the years, so many people have told me about how they got into dance music as a result of the Street Sounds Electro series, which had such a massive impact on a significant chunk of British youth, both black and white, following its launch in late ’83, but is bafflingly absent in so many accounts of UK dance history. Would welcome any comments here about how this seminal series affected and inspired you, and why you think it has never received anything like its proper dues from the wider dance community. I had all of these albums and they were the soundtrack to my youth when growing up in the Nunhead/Peckham area of SE London. I can remember buying the cassette of Electro 1 from a local record shop back in 1983 when i was 12 years old – absolute stone cold killer…….. I can remember this cassette permanetly in my ‘wad-box’ for months on end, booming out this new electro sound, as we popped, locked and break’ed on our vinyl/carboard…that was until I managed to get a copy of ‘Street Sounds Electro 4’ – OH MY GOSH…… “Pumpkin And The Profile All-Stars – Here Comes That Beat”……. This expereince completely turned me onto the leftfield music scenes……from Electro to Hip Hop….from Hip-Hop to House….from House to Rave…From Rave to Jungle and so on……..
Big up Morgan Khan and thank you……. I came to electro via Greg’s mixes on Mike Shaft’s Sunday afternoon TCOB show on Manchesters Piccadilly radio. Check the best of 82/83 mixes ! Seen greg at one or two all dayers at Wigan Pier spinning from inside the giant frog !!! Remember witnessing him mixing on 4 decks this would have been 82/83 ??? I had electro 2,3 & 4 mates had 1 and the crucial electro 1 & 2 series. I remember me and a friend had electro 1, one deck and the common room at school. we played it until it wore out. the other kids didn’t really get it. but that’s preston for you! The Street Sounds Electro records were basically what kick-started my life-long love affair with music. I have now been DJ’ing for 21 years, professionally for perhaps 16. Even today i look at these records with astonishing respect, awe & wonder.. this was the beginning for me, year dot, and these records are still a huge pilar in my life… Like a lot of kids i was breakin’ & poppin’ all over the streets and this was OUR soundtrack. This stuff was mind-bowing compared to everything else. Even today i carry many of the tracks from these albums in my DJ CD books. ‘Street Sounds Electro’ I would like to take this opportunity to say thankyou for all the good times you gave us, you were truely inspiring, a goliath in my my musical world. Excellent read, I just passed this onto a friend which was doing some on-line research on that. And this individual in fact ordered me lunch for the reason that I discovered it for him smile So i want to rephrase that: Thank you for lunch! Nice one greg so true what you say,no one ever mentions those classic albums.Apart from rebel without a pause dont think I was ever as excited about buying vinyl as them.Am 41 now and love house still but electro is the roots of it all and will never forget what streetsounds ment to music. Hi Greg well done for your continued fantastic essential postings. To add to what was written about who did the Electro mixes. Most of them were done by Max and Herbie. I had a go with a few 2 but it was mainly them 2. Keep up the good work. Everyone thinks they are a DJ these days & roots of music should not be forgotten. Fantastic albums that stand the test of time. 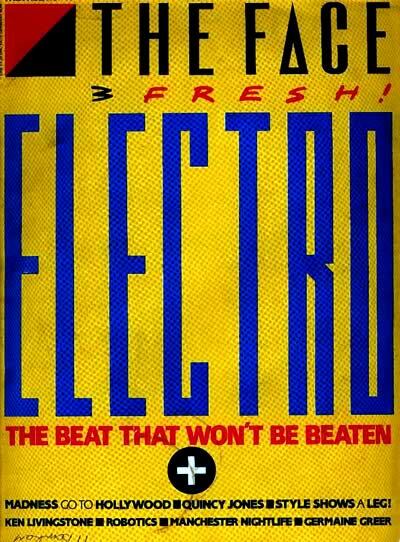 Crucial Electro 1 is my fave. 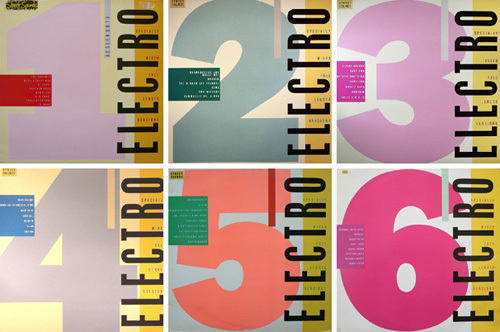 oh where do i start,im a 44 year old liverpulian and absolutely love the streetsounds electro series.i have most of them on vinyl and all of them in mp3 form.they were the first ever mixed together records id ever heard and this was the early eighties! i would love it if they were ever available on legit cd.they formed my musical tastes from hip hop to techno.so many tunes that are so influential to modern dance music and rap as it is today.i will always love them even when im 80!